What would be your answer if someone asks you to name the most influential website building platform? If you are even slightly aware of the happenings in the web world, you would surely know that it is WordPress. Even if you do not have a WordPress website, you have surely come across one because the platform has provided 75 million websites across the world. Almost a third of all sites created using WordPress, the most prolific and versatile CMS ever to come. The number of blogs and posts published on WordPress websites is also overwhelming – 2.5 billion posts have made its appearance on the platform since its inception. Now you can understand well why people consider it the most influential platform for web developers and marketers. If you wonder what attracts marketers to WordPress then keep on reading to know the secrets. Online marketing is all about reaching far and wide across the audience and grabbing eyeballs. By using WordPress, you can achieve both quite convincingly. WordPress websites attract high traffic, and in any given month, WordPress websites receive more than 23 billion-page views that keep improving. It means WordPress websites are ideal for hogging the limelight and is reason enough for companies like Nairobi SEO to choose the platform without a second thought. Now let us look into the other reasons. Fast website making – It would hardly take five minutes to create an SEO optimized website on WordPress. It just does not require any technical knowledge. A few clicks on the mouse could add a new feather in your cap as you uncover your hidden talent as a web developer. 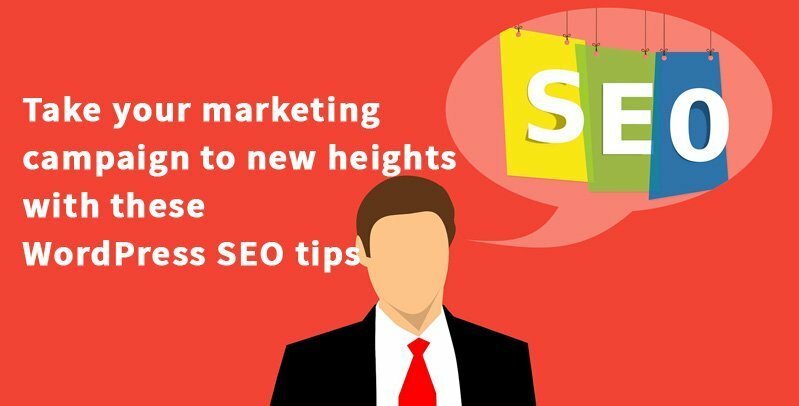 Enhanced marketing powers – Websites created on the WordPress platform have built-in SEO functionalities, but the real power comes from the plugins. You will find thousands of plugins, many of which can add real muscles to your marketing campaign. You can implement your marketing strategy from the WordPress dashboard by using suitable plugins and do all that by not knowing anything about codes. Any marketer can create posts, manage their calendar, syndicate content into WordPress directly and bolster traffic flow by following some techniques. You just cannot think of surviving in the web world if you do not have a mobile-friendly website. While it was a requirement until not very long ago, today it has become a necessity, as Google wants mobile-friendly websites only. If you do not have a mobile-friendly website, be ready for Google’s whiplash. Make a shortlist of WordPress themes built on responsive web design and choose one that could fulfill your needs to the maximum. Ensure that you optimize the themes according to your requirement because most themes though somewhat optimized need further polishing to make it most effective. By measuring the flow of traffic to the website, you can make out how much gains you have made by turning mobile friendly. The sitemap that lists all pages on the website acquires much importance from the perspective of indexing of web pages by search engines. Indexing helps to define the rank of blogs, and you have to facilitate the process by directing the search engine bots to the right places so that it picks up the right content for indexing. The sitemap provides the direction to search engines, and you can use a plugin like Google XML Sitemap Generator for optimizing the sitemap quickly and easily. The sitemap ensures fast indexing that would otherwise have taken months. Going by what Google wants, you cannot help but make websites speedier because Google has included website speed as a factor in determining search rankings. Since images have the bad reputation of slowing down sites, make it a point to use only optimized images on your website. Choose a suitable WordPress plugin that helps to compress images so that it occupies less space and speeds up the site. You can undertake image optimization from the WordPress dashboard itself by using a plugin created specifically for the purpose. You cannot afford to have broken links on your website that can harm SEO prospects. When crawling the site, search engines take note of broken links too. Either you have to set it right or get rid of it. WordPress plugins are available that helps to automate the process of identifying broken links instead of doing it manually. You will receive a notification whenever any broken link surfaces. If you have to edit many links, you can do it fast by using the WordPress dashboard. In addition to the measures stated above, you can take several other measures in integrating the website with your marketing g strategies to make it stronger.